Difficulty level: Easy, pay attention on the way back near pillars 9-10-11 which stand on a steep slope.  Support sites: Hotel Sport Camparient, Restaurant La Capanna, Restaurant da Piero, Bar Boschetto, Bar Campo, Agriturismo La Casera Bianca. The yellow trail traces a ring starting from the "Trogo alto” parking lot. Excursionists can reach the Alpe of Mera​ through the Ciotto di Sopra alpine pasture and then return to the starting point​. We recommend to proceed in anti-clockwise direction​; it presents no technical difficulties, but it requires a little care when interpreting the last section on the way back to Trogo. A hundred meters from the starting point the trail crosses the ski tracks, which are properly marked, and then enters the woods along a convenient and slightly steep muletrack leading to a refuge. The trail becomes steeper when crossing first Alpe Ciotto di Sopra and then the woods once more, near the skiing basin. Once out of the woods, the trail follows the ski track, offering a first view over the refuges of Alpe Mera, which is a short distance away. From the little church of Mera take the road leading beneath Hotel Camparient ​and crossing the ski track; here three signs on pillars 9 ­- 10 - ­11 of the Capricorno chairlift show the direction, but as this part of the track is steep​, snowshoe excursionists must choose the easiest path. Cross the ski track and then the beechwood below, passing under the Capricorno chairlift to rejoin the return track along the last few metres.